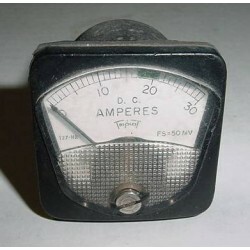 1 3/4" Vintage Warbird Ammeter, Amps Indicator. P/N 127-HR. Very clean item. It shows very well and it would make an excellent show piece for the bookshelf in the office or home or just as a mock up panel item. 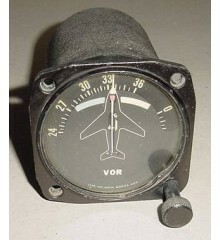 1 3/4" Vintage Warbird Ammeter, Amps Indicator. P/N 127-HR.Very clean item. It shows very well and it would make an excellent show piece for the bookshelf in the office or home or just as a mock up panel item. 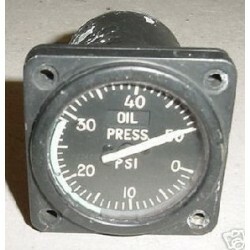 Do you happen to know the type of aircraft this indicator came off??.. 2 1/4" Vintage Warbird Oil Pressure Indicator. Manufactured by U.S. Gauge. P/N SR-6A or MS28010-1. 2 1/4" Vintage Warbird Oil Pressure Indicator. Manufactured by U.S. Gauge. P/N SR-6A or MS28010-1.Very clean item. It shows very well and it would make an excellent show piece for the bookshelf in the office or home or just as a mock up panel item. Do you happen to know the ty..